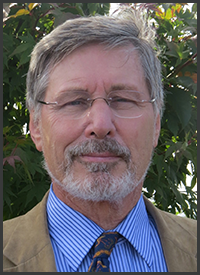 Bessel van der Kolk, M.D., NY Times bestselling author of The Body Keeps the Score, is world-renowned for his skill and effectiveness in connecting the two worlds of research and clinical practice — to improve trauma treatment outcomes. Watch him in this transformational intensive CE training and get the latest research and drug-free treatment techniques for your trauma clients. Leave with a new understanding of the neuroscience of traumatic stress and the research demonstrating the efficacy and possible limitations of mind-body treatment approaches. Dr. van der Kolk will dive deep into the fundamental difference between trauma desensitization vs. integration and growth, and look at the differences between disrupted attachment and traumatic stress. He will discuss and demonstrate affect regulation techniques, examine ways to deal with fragmented self-experience, and teach the benefits of yoga, EMDR, meditation, neurofeedback, music and theater. This is a “don’t miss” CE training that is based on Dr. van der Kolk’s own research but also that of other leading specialists. Trauma and Healing with Bessel van der Kolk, M.D. Today Only $299.99 — An Unbeatable Value! HURRY, this discount won't be here for long! Meet the Expert in this Recording! 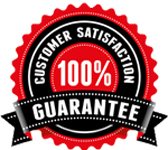 100% satisfaction guarantee - If you're not completely satisfied, give us a call at 1-800-844-8260. We're that confident that you'll find this learning experience to be all that's promised and more than you expected. NOTE: No additional discounts or coupons may be applied to this digital seminar.